Towards the end of 2017, JOLED started commercial production of its 21.6" 4K OLED panels. But this is very low volume production (at JOLED's pilot 4.5-Gen line) as the company said it is seeking to raise $900 million to support its plan to start mass producing OLEDs in 2019. 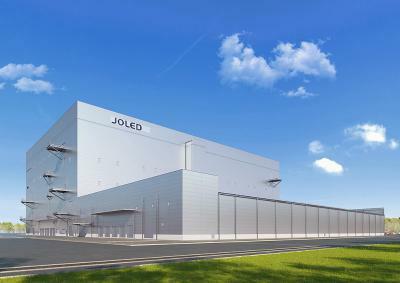 Today JOLED announced official plans for its first mass production printed OLED fab. JOLED will establish the production site in Nomi City, Ishikawa Prefecture. The capacity of the new fab will be 20,000 monthly 5.5-Gen (1300x1500 mm) substrates and the plan is to begin mass production in 2020. JOLED will produce 10- to 32-inch OLED displays for automotive displays, high-end monitors and more.